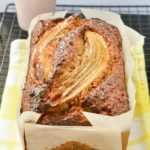 This simple healthy banana bread recipe with coconut oil, whole wheat flour and low sugar is deliciously moist. Hello food lovers. I am finally back on the blog! It is winter in New Zealand and me and my baby girl had a cold for few days and I did not find the motivation to write on the blog lately. It does not mean I did not bake during these days! Of course not! What is better than a this simple healthy banana bread recipe to get back on your feet ? Obviously I did not had the energy to spent hours in the kitchen baking, so I did a really simple banana bread recipe using the ingredients I had on hands. You know what I love about this simple healthy banana bread recipe ? it is super easy to make. You just have to pour all the ingredient into your food processor than bake it and it is done! Well, if you don’t have a food processor, you can also mix the dry ingredients in one bowl, the wet ingredients into another bowl and then combine wet to dry. Whatever the technique you use this banana bread recipe is ready in less than 15 minutes. 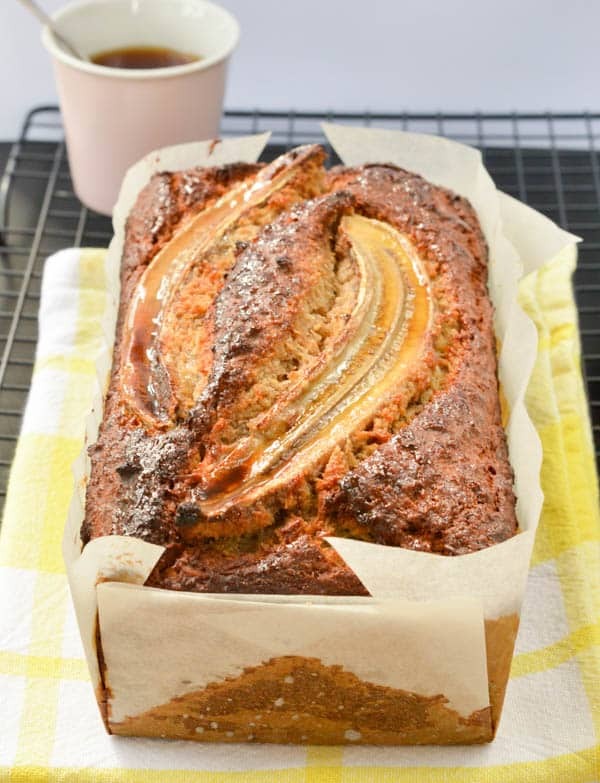 My secret to transform this simple healthy banana bread recipe into a fancy banana bread? Add a full banana on top of your bread. It will create a compote like texture on top of the bread, adding extra sweetness and moisture. Absolutely mind blowing ! The recipe is already sweet but I really appreciated the extra sweetness on the top of each slice. Other optionnal twist to this simple healthy banana bread recipe is to add ground cinnamon and chopped walnuts. It will bring this simple banana bread to the next level. If you love healthy banana bread recipes I also recommend you to try my eggless oatmeal banana bread recipes. Enjoy this simple recipe ! 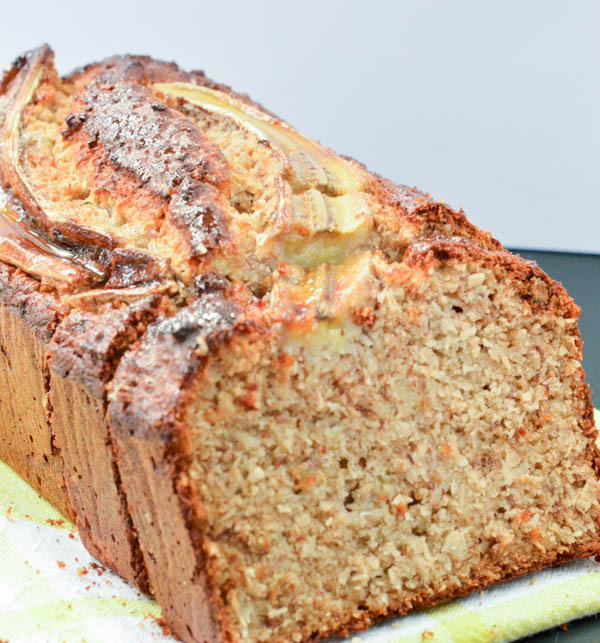 Simple healthy banana bread recipe with Greek Yogurt, coconut oil and whole wheat flour. 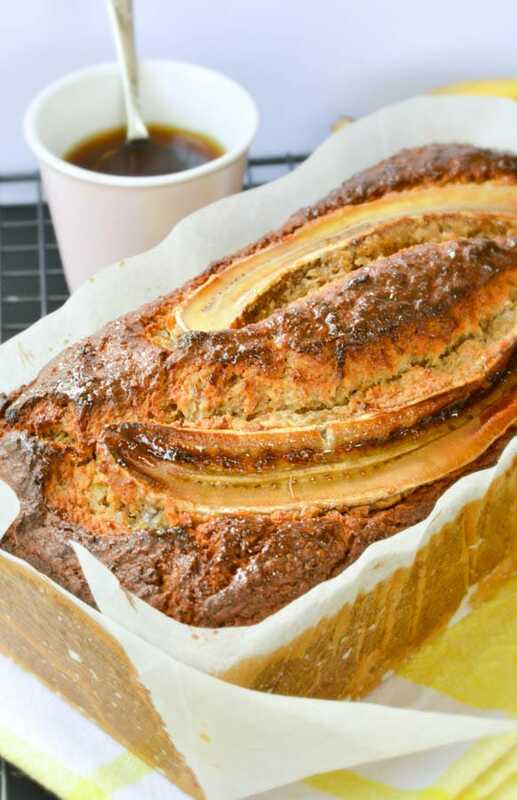 A delicious moist banana bread sweetened with honey. Grease a loaf pan with coconut oil. or line a 9 inches x 5 inches loaf pan with parchment paper. Set aside. In a mixing bowl combine the dry ingredients: wholegrain flour, cinnamon powder, baking soda and nuts Set aside. In another bowl mix mashed bananas, yogurt, honey, eggs, melted coconut oil, and vanilla extract. Pour wet ingredients into the dry and combine until you get a consistent batter. To decorate, peel a banana, cut lengthwise and place on top of the cake. Bake for 40 – 50 minutes or until a toothpick comes out clean. Dairy free: make this recipe dairy free, use soy yogurt or dairy free coconut yogurt. Nutrition panel is for one slice of this simple healthy banana bread without walnuts This bread makes 12 slices. Thanks! It was a last minute idea – I actually had too much bananas and I decided to try this 🙂 It was a nice try it caramelised on the top and melt in the mouth! I love the idea of this simple banana bread. 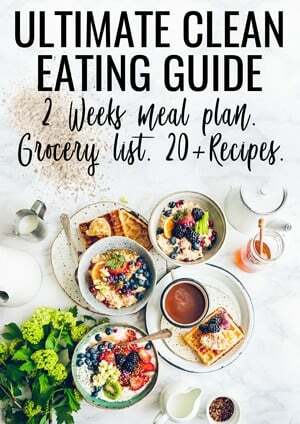 I may have to try this out with a few other quick bread and muffin recipes! I am so going to try this out! I may try a mix of cinnamon and nutmeg and see how that goes. Thanks for sharing.